Your users can send and accept friend requests, just like facebook with this addon. When activated, this addon creates “Friends” tab in User Profile. Friends – This tab contains user friend connections. 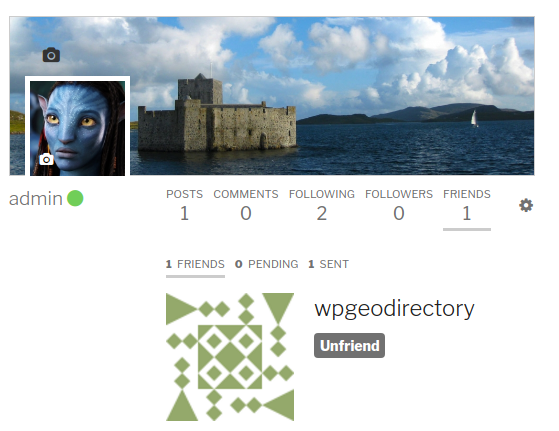 Pending – This tab contains pending friend requests.